Welcome to the NFS PE Department! 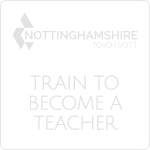 Here at Nottingham Free School, core PE lessons at consist of a triple lesson per week, which is the equivalent of 2 hours of physical activity. PE is an excellent opportunity for pupils to take part in exercise to mentally and physically stimulate both the body and the brain and to develop key skills such as communication, teamwork and leadership. 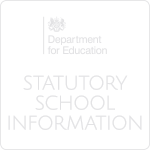 Our schemes of work are informed by the National Curriculum and prepare students for Physical Education at GCSE and A Level. The activities in which pupils take part, change every half term so that pupils experience a wide range of sports and activities each year (please click here for the core PE curriculum). Regular assessments include the use of observations and iPad video analysis to feedback on pupils’ performance in a variety of different sports and activities. Encouraging pupils to fully participate in all lessons. Ensuring pupils are in the correct kit for all PE lessons for health and safety reasons. Writing letters in planners, asking for pupils to be excused if they are ill, (excused pupils are still required to bring kit for the lesson - extra layers are advised if a pupil is excused from outdoor lessons). Providing a doctor’s note in the case of long-term illness or injury. Encouraging pupils to take part in school sports clubs, inter-house sport and inter-school fixtures. Participating in physical activity with their children or supporting their participation in sport outside school. Encouraging pupils to let staff know about their participation in sport away from school. Ensuring that medical information regarding their children is kept up to date with the school office. Enrichment Sport: A wide range of sporting activities is provided for pupils to take part in, including Team Sports (e.g. Football, Netball, Rounders), Capoeira, Yoga and Gym. 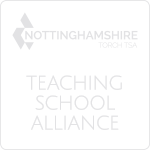 We also have a Sports Leadership Academy, which is part of the Nottinghamshire Schools Leadership Academy network. The school will be running teams in Netball (girls), Rugby (boys), Football (boys and girls), Cross Country (boys and girls), Rounders (girls), Cricket (boys and girls) and Athletics (boys and girls). All pupils are encouraged to take part in inter–house sporting activities .